A small nest of islands in the Atlantic ocean that belong to Portugal. Madeira is fortified wine and the styles range from dry to sweet. The dry styles are ideal as aperitifs and the sweet wines are usually served with desserts. 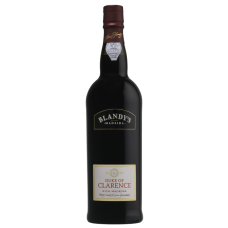 Blandys Alvada is fined and does not require decanting. It is a fine accompaniment to dessert dishes, especially fruit, cakes, rich chocolate puddings and cheeses. It has been bottled when ready for drinking and will keep for several months after opening. Blandys Alvada underwent fermentation off the skins with natural yeast at temperatures between 18°C - 21°C in temperature controlled stainless steel tanks. After approximately 48 hours, fortification with grape brandy takes place, arresting fermentation at the desired degree of sweetness. 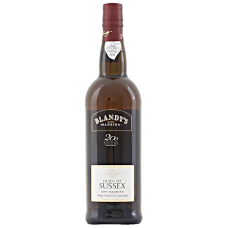 Blandy's Alvada was aged for 5 years in American oak casks in the traditional 'Canteiro' system. This comprises of the gentle heating of the wine in the lofts of the lodges in Funchal. Over the years the wine is transferred from the top floors to the middle floors and eventually to the ground floor where it is cooler. The wine underwent racking and fining before the blend was assembled and bottled. A deep golden brown colour with honey and raisins on the nose, rich and full bodied and soft texture..
A deep golden brown colour with honey and raisins on the nose, rich and full bodied and soft textured; a great after dinner drink. Made from grapes grown about 200 metres on the north of the island of Madeira. 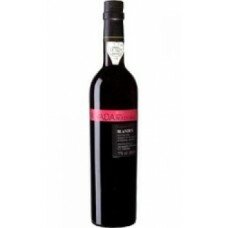 It is a superb accompaniment to desserts, especially cakes, fruit, chocolate puddings and soft cheeses. It is ready for drinking and once opened will keep for several months. This is fresh, light madeira with clean fresh nutty flavours. Its dryness makes it an excellent aper.. This is fresh, light madeira with clean fresh nutty flavours. Its dryness makes it an excellent aperitif wine.